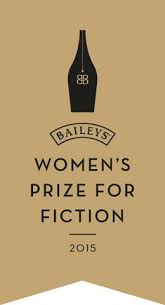 Yesterday we had the announcement of the winner of the Baileys Women’s Prize for Fiction. 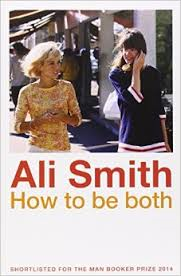 Huge congratulations to Ali Smith for her “How To Be Both”. Ali was presented with the £30,000 prize at the ceremony at London’s Royal Festival Hall. It was perhaps not that big a surprise (although it was for Ali) as the book has already won the Costa Novel Award, the Goldsmith Prize and was on the shortlist for the Folio and Man Booker. When I blogged about the longlist back in March I said I was hopeful that I would get round to reading a number of the books – unfortunately, I have only managed to read one (why haven’t I got round to reading “The Paying Guests” yet? I love Sarah Waters!) but that one was none other than ……… “How To Be Both”. I have been sitting on my review because, confession time, it didn’t blow me away like I was expecting it to. I’m feeling a bit like the bad fairy at the christening, but being swept along by the excitement of the announcement I thought I’d blog my review today. Firstly, I’m not saying it didn’t deserve to win (especially as I haven’t read the others) nor that I didn’t enjoy because I did and I found it very thought-provoking about what we expect from the books we read. “How To Be Both” has a clever narrative structure. The book is printed in two different formats. There are two narrative strands one set in the fifteenth century and one modern day. Half of the books published start with the modern section, half with the fifteenth century. The copies of the books look the same so it is random which format you will get. My copy began with the fifteenth century and moved into the modern day section. I’m not sure how much my enjoyment of the book was dictated by this. I suppose to find out I would have to seek out the other version to see if it makes a difference to the reading experience, but I suspect it wouldn’t. My problem with it (and this is the first Ali Smith I have read so I am not familiar with her style) is that it felt too much like a technical exercise and that held me back from really getting into the book. This distance started right from the cover, which made me feel a little uneasy. I had heard about the book, but not seen it, yet walked by it a number of times, not recognising that this “Georgy Girl” type cover was on the book everyone was raving about. I confess to almost finding it a little embarrassing purchasing it, but once reading it I discovered that the cover photo is significant. On the front cover is a picture of 60’s French pop chanteuses Sylvie Vartan and Francoise Hardy, on the back a detail from a fresco by Renaissance artist Francesco Del Cossa. It feels like someone has asked Smith to write a book around these two disparate photos in a kind of creative writing exercise and attempt to tie these pictures into one plot and this she has done admirably, but for me the mechanics of the book were made a little too clear. Del Cossa, in for me, the first section of the book is reimagined by the author as a woman passing as a man embarking work on the fresco. Towards the middle we get glimpses of Del Cossa in purgatory observing a modern teenage girl who becomes the focus of the second section (or vice versa). George is mourning the death of her mother who had taken her to Italy especially to see the fresco paintings which she had fallen in love with. A new friend gives George the photo of the French singers because one of them resembles George and the friend has romantic designs. The girls themselves begin to explore the life of the painter, initially for a school project but then because George’s mother had loved them.